Judge Ellis Fires A Warning Shot! Rejoice Americans, there are still honest judges in America! “You don’t really care about Mr. Manafort,” said Judge Ellis, “You really care about what information Mr. Manafort can give you to lead to Mr. Trump, – and his eventual prosecution or impeachment”. Before Judge Ellis was a motion by Paul Manafort to dismiss charges brought by the Witch-Hunt team stemming from his work for the former Ukrainian president in 2014, – two years before Trump ran for office and Manafort worked for him. The lawyer representing “the Government” is DOJ attorney Michael Dreeben, a long-time left-wing operative. Mueller’s case against Manafort involves conspiring to launder money and failing to register as a foreign agent when he lobbied for the pro-Russia Ukrainian government. Seeing clearly through the charade, the judge said it appears that Mueller is attempting to leverage Manafort into providing incriminating evidence on President Trump. “The vernacular is to sing” he said. No telling how Judge Ellis will rule. If he grants Manafort’s petition for dismissal, Mueller is likely to take it to the appeals court, – anything to further stress and bankrupt Manafort – to force him to make a statement incriminating Trump. Mueller isn’t after the Truth, or Russians, or anything Manafort ever did. He just wants to put Trump in a vice….and force a resignation or a criminal prosecution of a sitting president. Then they’ll go after Mike Pence…. UPDATE: Sat afternoon 5 May Thanks to an alert reader – one smarter than I am – the photo of Judge Ellis has been corrected – with apologies to both the Judge and our readers! UPDATE: Thursday, 17 May 2017 Well that took awhile! The DOJ just turned over to Judge Ellis the “Scope Memo” from Rod Rosenstein back on 2 August 2017 – outlining the SCOPE of what Mueller is supposed to be investigating. It is time that Trump turns the tables and goes after these people using the same weaponry. 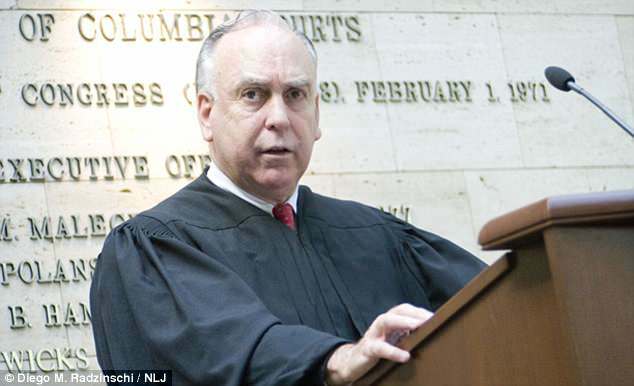 Wrong picture of Judge Ellis. That is a defendant at one of his trial William Jefferson. Your blog is one of many with this error. DAMN! I hate to make a blunder like that! TY Jay!